Have you ever wasted minutes fumbling around your apartment looking for your keys and then wound up being late for something important? Or know someone who has? 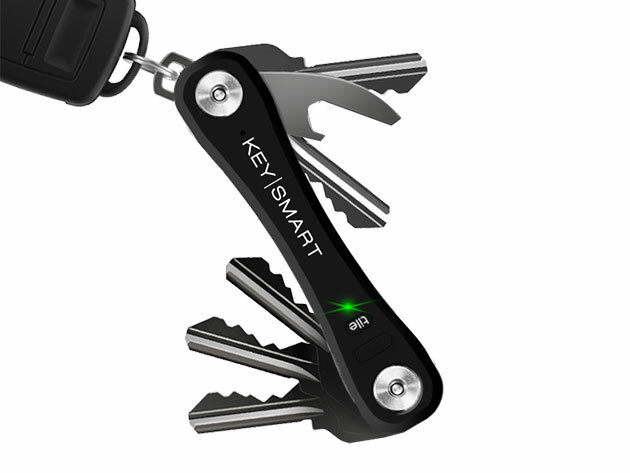 KeySmart Pro is the newest gadget for locating your keys anywhere with a simple smartphone app, so you never need to worry about losing your keys again. Apart from being a tracker, KeySmart Pro also stores up to 10 keys in a single convenient sleeve that attaches easily to practically any size key or car key fob. The sleeve neatly organizes your keys and allows you to quickly locate them on a map via the Tile Smart Location app or ring them audibly. So no matter if they’re lost deep within a couch or beneath an unlikely bookshelf, you’ll be able to hear them. The KeySmart sleeve also features a bottle opener and an LED light for extra functionality, with a battery life of up to three months on a single charge. There has never been a more easy, intuitive way to keep track of your keys. Normally KeySmart Pro retails for $59.99, but right now you can take 33% off and get it for just $39.99.